The very next year the seed became available in New Zealand. Every year since I have grown my own new plants in the spring. I'll never forget my English garden touring adventures back in 1997 - this flower always reminds me of the fun I had. 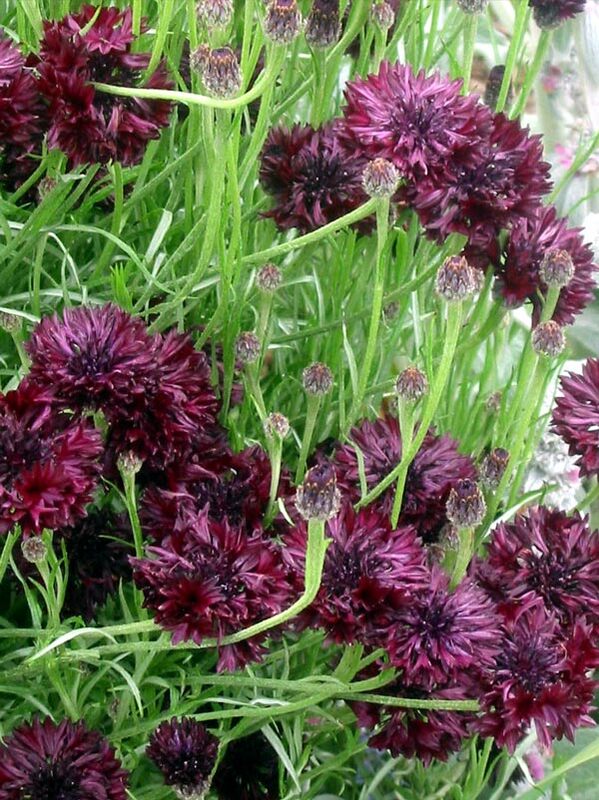 Of course each year I sow seedlings of blue cornflowers - both tall and dwarf varieties. I always collect my own seeds, but it's easy (and cheap) to buy in seed packets. 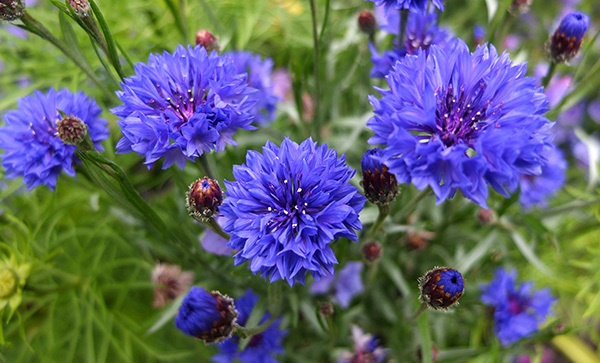 A favourite trick is to cut up old cornflowers with scissors to act as a mulch. Usually quite a number of new seedling plants are created this way. Sneaky!